'Cosmopolitan' released photos and interview with Kim Yoo Jung. 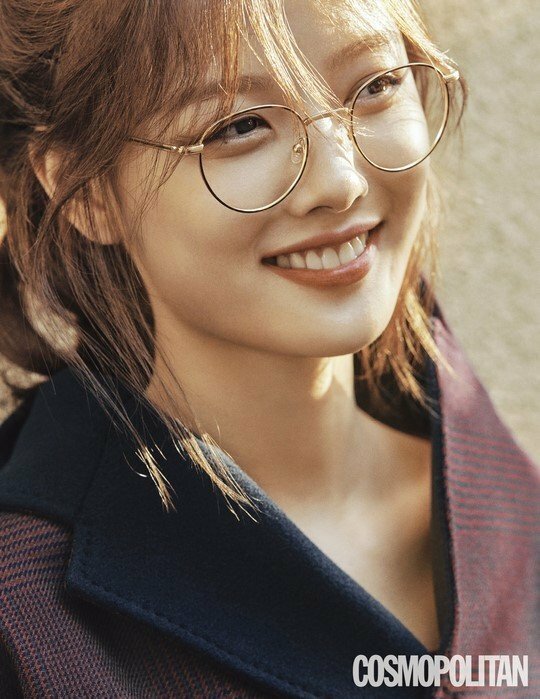 Regarding her break for health recovery, Kim Yoo Jung said, "I've spent the time to exercise and focus on my condition. Fortunately, I have improved very much." As for her upcoming drama, Kim Yoo Jung said, "The drama is very bright and warm. I wanted to deliver good energy to the viewers who have worked hard in 2018." Kim Yoo Jung also shared she's a homebody. She said,�"Snuggling in blankets and watching movies at home is my favorite. Rolling around and�then eating something good, taking a nap with my cat, and soaking up the sunlight makes me happy."